Anna's hummingbird, Calypte anna. 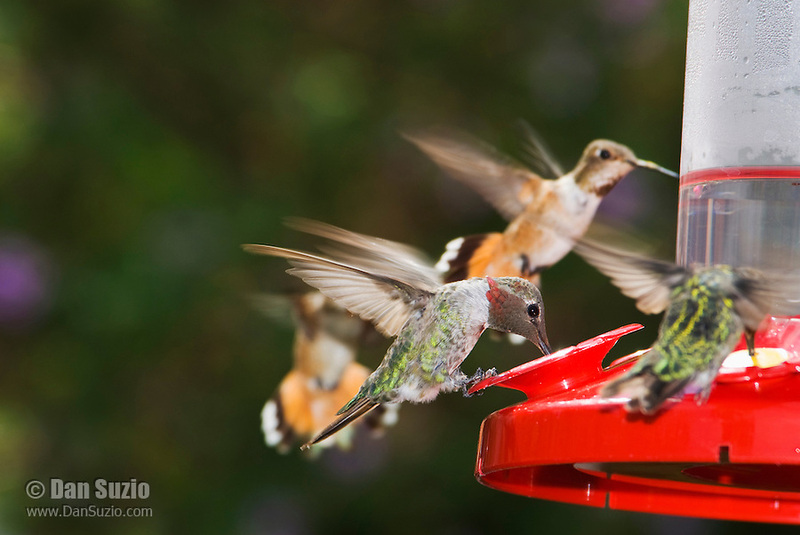 Birds in background are either Allen's hummingbird, Selasphorus sasin, or Rufous hummingbird, Selasphorus rufus. Santa Cruz Mountains, California.